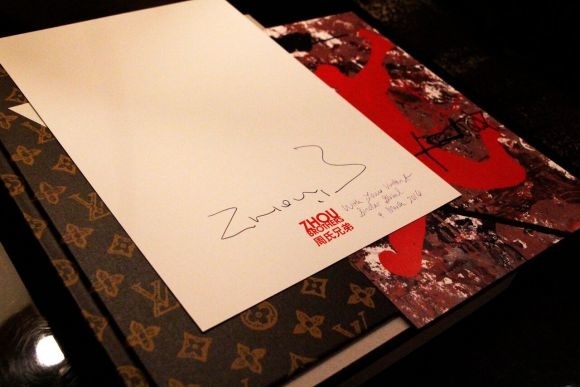 Sinclair Global, a global luxury marketing consultancy providing bespoke experiences across the spheres of art and culture, fashion, gourmet and lifestyle, invited the world renowned Zhou Brothers to London to collaborate with Louis Vuitton. A reception took place at The Langham Hotel, welcoming the Zhou Brothers to the inner sanctum of London, before their exclusive event at the secret Louis Vuitton Maison, New Bond Street with an artist talk conducted by Sotheby’s, London. ZB: The first piece we did together was in 1973 (‘The Wave‘). Later on and as many years go by some critics say we are painting in a dialogue, however eventually we don’t need to talk and you don’t always need harmony. Our work is not about thinking, it’s about feeling; the painting itself is the conversation. For example, in many paintings, especially our performance pieces, we don’t discuss or attempt to plan a unified vision; we just go together and paint, at first you don’t know anything, that is how the performance pieces often work. We are looking back today on 43 years of collaboration – it is the longest in any kind of art form throughout human history. We have gone through many stages, our whole development is changing; from the beginning talking about harmony, until we realised, actually we need more conflict. But it takes time to realise that. The value of the collaboration is that it opens up things that couldn’t happen any other way. Some times even in music, for example jazz music, they don’t always talk too much about things they just let it happen, ultimately creating more life. We continue our collaboration because we believe this kind of collaboration in art history can add on a lot of new things, and we believe this kind of idea not only in art, but also this collaboration in life. AA: Have you got any future projects / plans lined up? ​ZB: We have been developing our philosophy Feelingism – ‘Feeling is Liberty’. This year we have several projects. 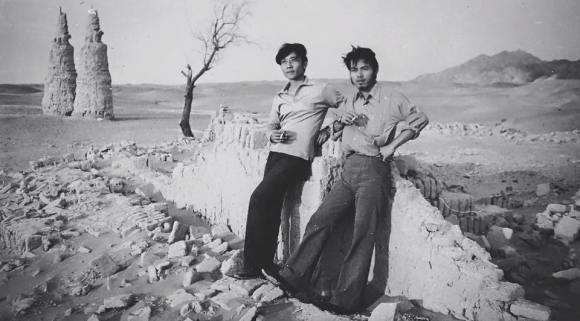 We are publishing two books – one is a book dedicated to our philosophy of Feelingism and the other book combines the complete history of the Zhou Brothers. We are also planning The Zhou Brothers 45 year retrospective, which will be a travelling Museum show in 2018 and will mark 45 years of collaboration.